2. My Fair Lady:Why Can't The English? 3. 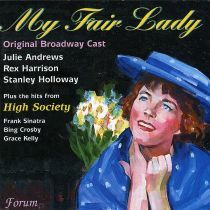 My Fair Lady: Wouldn't It Be Loverly? 18. High Soceity: Who Wants To Be A Millionaire? 23. High Soceity: Well DID You Evah?